Let me start this off with…I never want this combo to end. I love it, seriously. Ok, the proof is in the pictures! 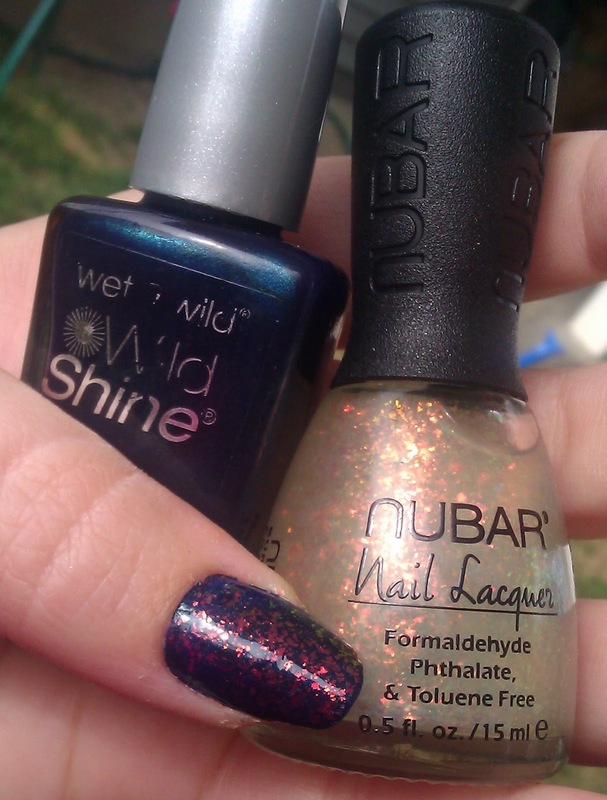 Besides natural sunlight or camera flash, none of my nail pictures are edited besides cropping…as usual. 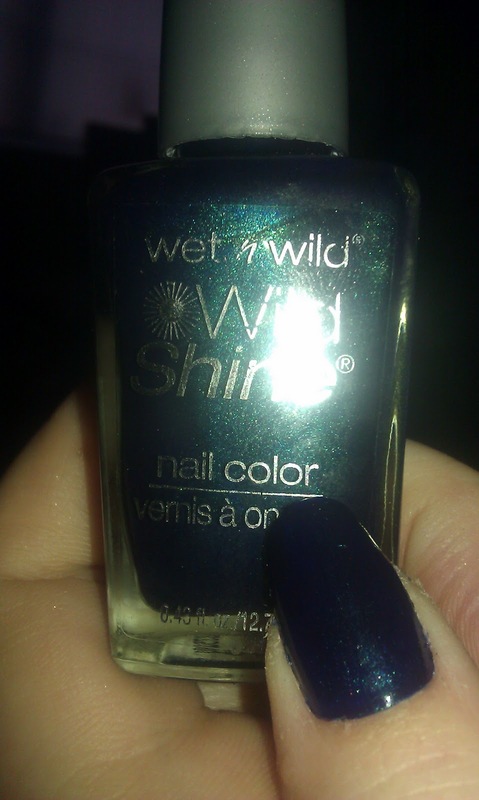 This is 3 coats of Blue Moon from Wet n Wild, the Wild Shine Line available for $.99 at drugstores & retailers like Walmart/Target. I probably could have gotten away with 2 coats, but I don’t like to see my nail line in pictures so 3 coats was required. 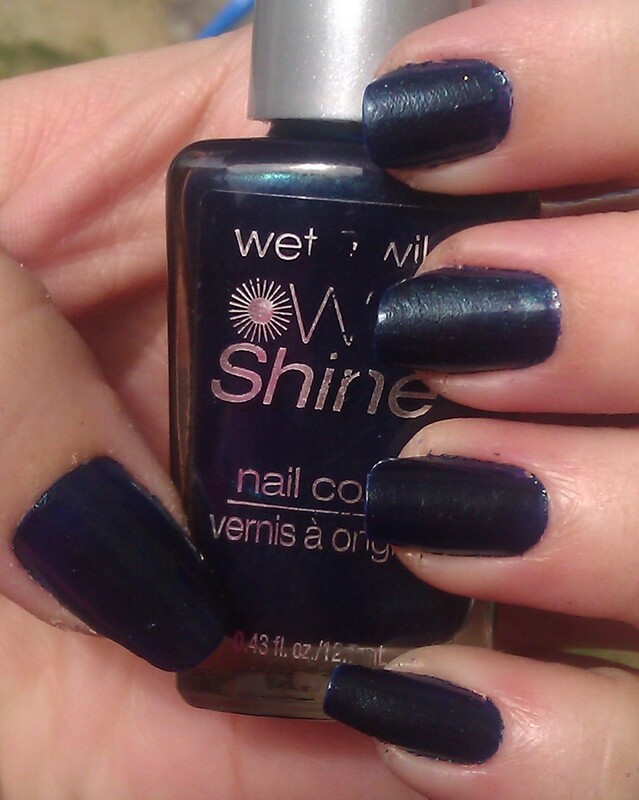 This is a GORGEOUS deep blue with a striking teal (slightly on the greener side) undertone shimmer. You can tell in different lights. Because Halloween is approaching fast, although its lovely, Blue Moon needed a little something to take it over the top. 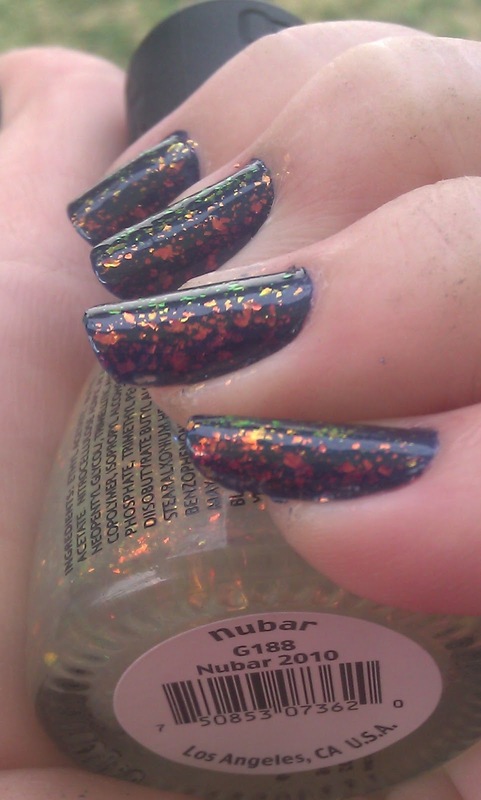 I reached for my Nubar 2010, a classic cult nail topper. 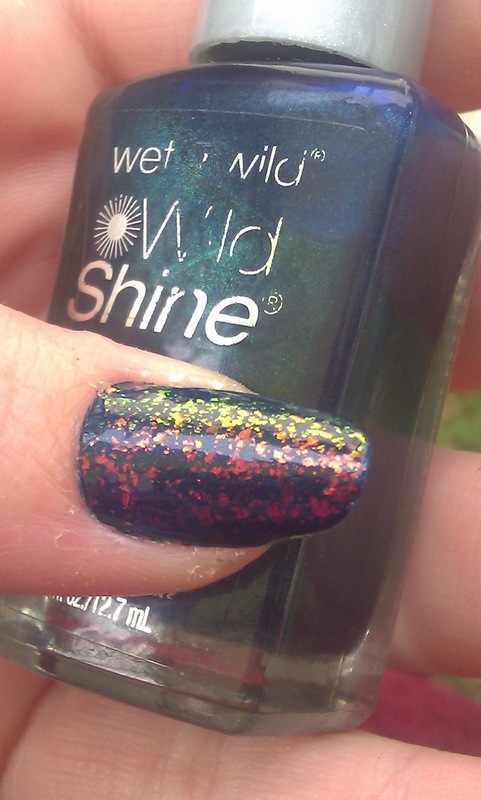 This is a flakie that shines varying degrees of orange, green, and a yellow/amber shade. One of my favorites. So, what do you think? Only 2 more days till Halloween! 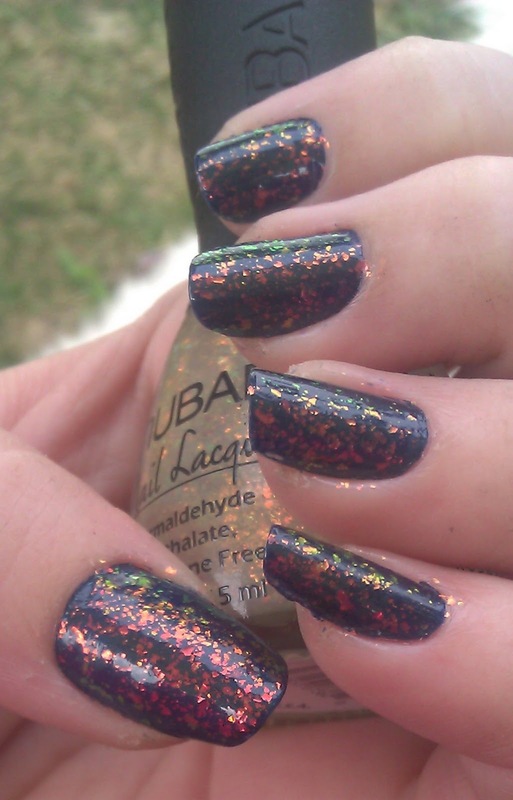 Have you picked your polish yet?